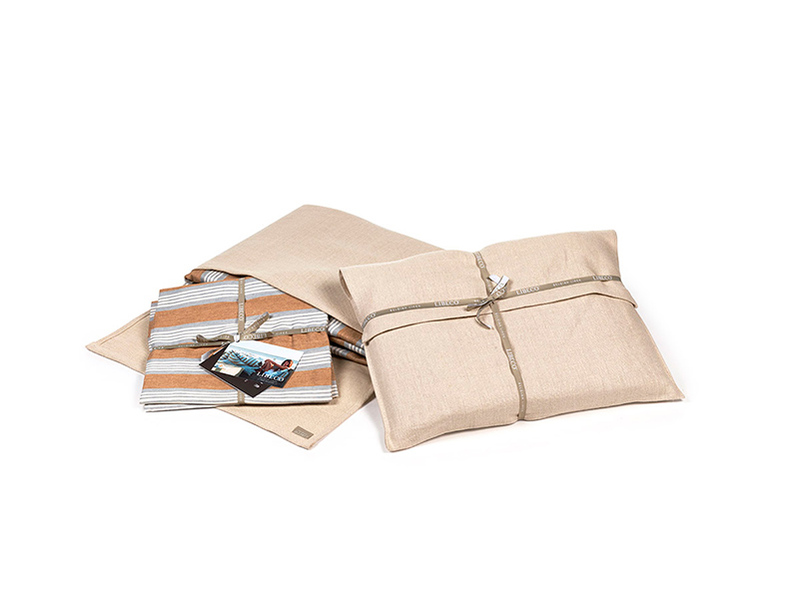 This collection was inspired by vintage grain sacks. It’s a fabric and a look that has so much charm, and is, at the same time, extremely durable. Here a rusty brown central stripe sits on a tightly woven flax ground.